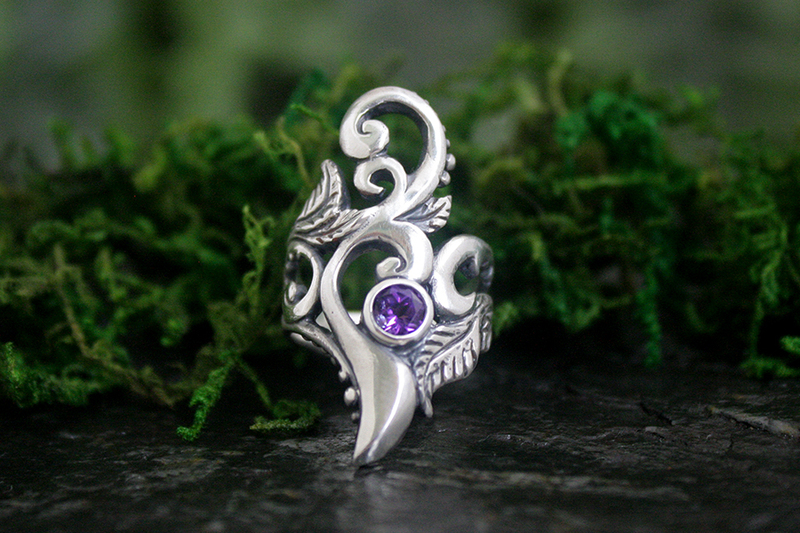 An orchid purple amethyst is the focal point of Artemis, my sterling silver statement ring! 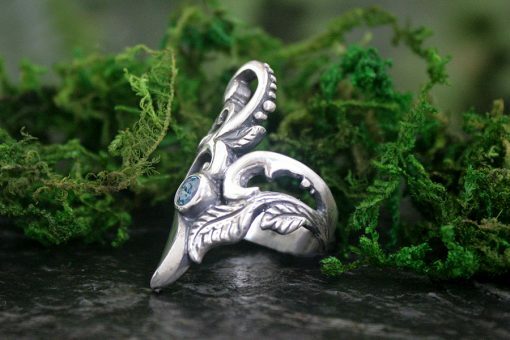 Guided by intuition and forged by the forces of nature, Ms. Artemis was born into her glorious form, in sterling silver with an antique finish. She is a fierce protector of the wilderness, wild animals, and of the girl child. 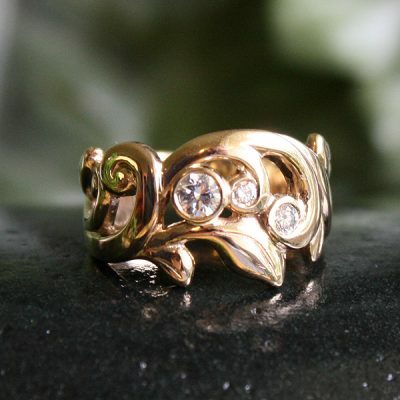 Wild spirals and textured leaves cascade around the finger, accented with precious dew drops along the unfurling leaves. 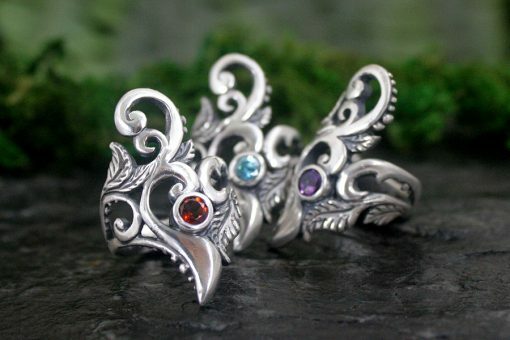 Made to any size and available with garnet, peridot, amethyst and blue topaz for this price. In the second photo I am featuring a blue zircon. 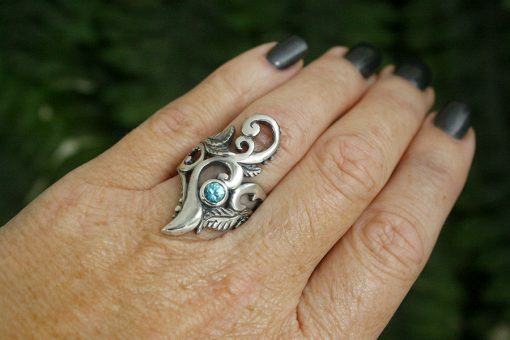 The cost on this and aquamarine is an additional $80.00. Message me to inquire!